« Animal Kingdom’s 15th Anniversary! Mickey’s Not So Scary Halloween Party & Mickey’s Very Merry Christmas Party Dates! Mickey’s Very Merry Christmas Party runs November 8, 11, 14, 15, 17, 21, and 22 and December 1, 3, 5, 6, 8, 10, 12, 13, 15, 17, 19, and 20. If you pre-order your tickets, the cost is $62 per adult plus tax and $57 per child plus tax. Black out dates include November 22, December 6, 13, and 19. These dates, along with same day ticket prices are $67 per adult plus tax and $62 per child plus tax. December 20 is at a premium price of $71 per adult plus tax and $66 per child plus tax. 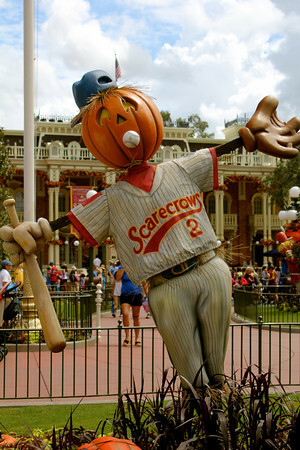 This entry was posted on May 7, 2013 at 8:46 AM and is filed under DISNEY'S MAGIC KINGDOM with tags MNSSHP, MVMCP. You can follow any responses to this entry through the RSS 2.0 feed. You can leave a response, or trackback from your own site.